All our paintings are 100% hand painted by our artists from sketch to finish, step by step. 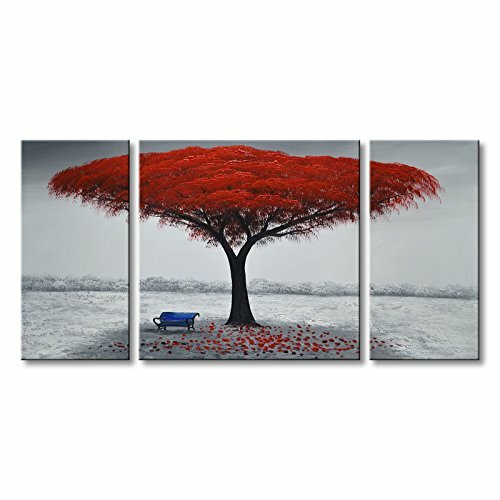 This red tree canvas wall art are very popular in decoration market. Winpeak Art is one of the largest online suppliers of hand painted oil painting. We provide handmade modern abstract canvas wall art, modern artwork, abstract picture etc. We are good at transfer your photo into amazing canvas wall art. Custom color and size is possible. Hand Painted red tree modern oil painting on canvas by our professional artists. This is handmade canvas wall art, it is not a canvas print. This artwork is suitable for living room, bedroom, kitchen, office, Hotel, dining room, bathroom, bar etc. If you have any questions about this product by Winpeak Art, contact us by completing and submitting the form below. If you are looking for a specif part number, please include it with your message.